Here we provide you with some recommendations and practical information to help you make the most of your cruise vacation. We recommend you take out special cruise trip insurance and ensure that you have sufficient health insurance cover, especially if you have a pre-existing medical condition. Speak to your travel agent or insurance advisor. When boarding, arrive in good time (two hours before departure). You and your hand luggage will be scanned, like at an airport. You will be asked to provide identification and may be asked to fill out a health statement. Each person in the party will be issued a cabin key card. The key card must be used every time you leave and re-board the ship so that the crew knows whether you are on board. Your key card can be used to charge drinks, purchases, etc. 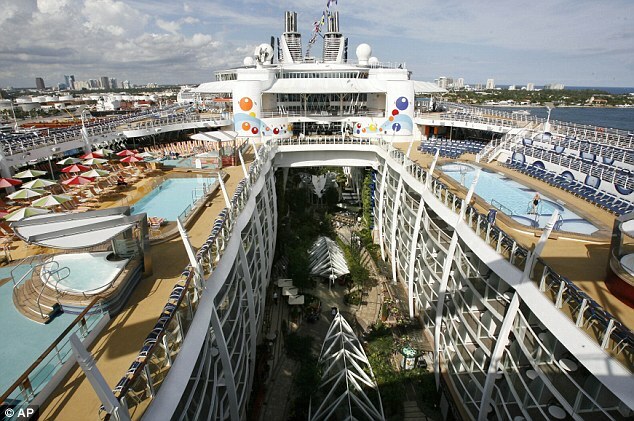 to your bill which is settled at the end of the cruise, usually with your credit card or cash deposit. You can also use a cash. Settle all accounts well in advance of disembarking, as you will not be allowed to leave the ship until you have done so. Before the ship sails, there will be a life boat drill that everyone must attend by law. Life vests are stored in your cabin. You will be required to learn emergency procedures and signals, and the location of your emergency muster station. Make sure your luggage is clearly labeled with your name, cruise information and cabin number. Most cabins are fitted with a small safe where you should place all your valuables. All cabins have private bathrooms fitted with a shower and power suction toilet. Virtually all cruise ship cabins will be fitted with a hair dryer, TV, phone with wake-up call facility, and at least one power outlet (bring your own extension cord if you need to plug in several appliances at once). You may find a DVD player. Some ships conveniently have laundromats. It is worth finding this out beforehand, as otherwise you will either need to pack a great deal more clothes, pay high prices for the ship’s laundry service, or wash lighter articles of clothing by hand (which may take an age to dry). Public announcements are given over the ship’s intercom system, but only important announcements are piped into cabins. Listen out for special offers and package deals that are announced over the intercom system, such as Buy One Get One Free deals. Check out the cruise line’s recommendations for gratuities. They will suggest optional amounts, which often vary depending on your class of cabin. Some cruise lines automatically add gratuities to passengers’ onboard accounts, which means that all staff, including cooks and maintenance workers, receive this extra income. You may experience seasickness or queasiness on-board your cruise ship, although modern vessels have highly effective stabilizers that prevent this. Pack an over the counter motion sickness medication such as Dramamine, although remember that it could cause drowsiness. There are also special wristbands available that stimulate pressure points to counteract nausea. Most cruise ships have a medical team on-board with a doctor and at least one nurse. They can give first aid and deal with routine ailments. They carry basic medications and supplies. You will be charged a fee for their services. Health insurance will probably cover these fees but your trip insurance should. Cruise ship internet cafes are becoming increasingly common, but again, the price is high and the speeds are somewhat slow. Wireless internet may be available for your laptop, but will be expensive and with limited coverage. Again, consider not going online unless it is absolutely essential.